Here’s my word for 2017. Mindfulness is the recommended technique of Fortune 500 companies and new age crystal gazers; boomers and millennials as well as the rich and the not so rich. Forbes magazine reports there were some 667 articles on mindfulness published in scientific journals in 2016; Amazon.com currently lists over 100,000 mindfulness titles. 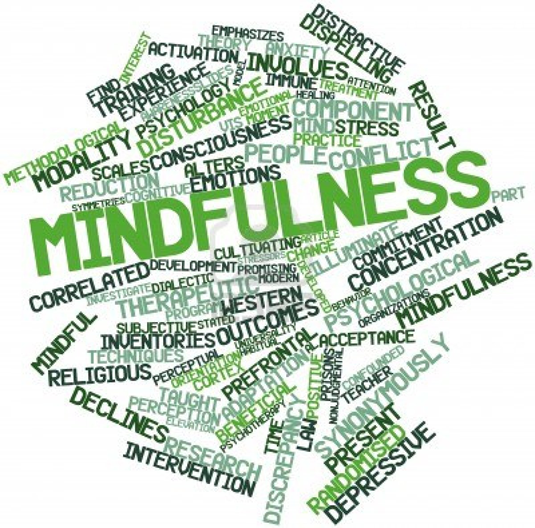 Altogether, according to Forbes, mindfulness is now a four billion dollar industry. Now, who among us would say that mindfulness is not good? It’s one thing to endorse mindfulness as an idea and another to hold up an example of action, in your own life, that is mindful. In fact, my life probably offers up examples of what mindfulness is not. Let’s say my wife has been out for most of the day. She comes back asking whether anything has been happening on the home front. I reply that no, it’s been an uneventful day. My nonchalant reply triggers a tiny spark of doubt in my brain, which does not ignite until just before bedtime. Oh yes, I say to her, there was one thing, today. Your brother called just after you left and said his house was burning down; he wanted to know if he and his family come and stay with us for the next six months, starting tomorrow. He made it sound urgent and wanted to know if you could call him back as soon as you got the message. You may want to phone him soon. My wife was grateful I eventually passed on of the message. This overshadowed, slightly, her fury at my not telling her immediately. Seemingly, the fact you were watching darts on television at the time of the call does not cut much ice with her. Upon reflection, I conclude that had I been more “in the moment” of the phone call, I would have realized the message had a degree of urgency to it and that my wife would want to know of it on immediate, home, rather than same day basis. I would have written down a reminder note and left it some place where she would be bound to have stumbled across it. I would have spared myself the tongue-lashing and perhaps spared her the embarrassment of a laggard response to the telephone call. I remind myself that if I had meditated or taken some other step to rid myself of my mental clutter, my mind would have been free to concentrate on the telephone conversation. Still, I have trouble imagining any meditation that would not have focussed on kicking myself over my divided attention, only increasing my own frustration. This mindfulness business would get some greater support from me if it could alleviate some of my most basic mental lapses. These include “incomplete errand syndrome.” Sent off to the grocery store to buy three things and casually dismiss the need to write them down, I arrive back with six things, only two of which were on the original list. I get no points for buying the four bonus items, and soon I am back at the grocery store to buy item number three, much to the amusement of the store clerks. The “clever place” effect kicks in when I have no idea where I left my passport, wallet or keys. I just know I put it in some place that was so clever I was bound to remember it. The “room change blank out” occurs when I leave one room intent on fetching something, but entering the next room wipes out any memory of what it was I was after. The “name freeze’ happens when I run into someone I know, but in another context. I have no clue what the person’s name was and spend the next six hours obsessing about it, until it comes to me as I am clipping my toenails. Paper and pencil notes return. On the other hand, the prospect of having to read 667 scientific papers and 100,000 self-help books scares me off mindfulness. Perhaps I should just start by keeping a pencil and paper nearby and writing things down straight away. Maybe I should suffer the shock of having my house burn down and relying on some dolt to pass on my message requesting help. I’d teach him some mindfulness quickly.